This is the calendar for attendance during Term 3, 2018. The red dates represent P1 - Kookaburra children to attend. The blue dates represent P2 - Possum children to attend.... We would like to pay our respects and acknowledge the traditional custodians of the land, the Bidjigal people of the Eora Nation, and also pay respect to Elders both past and present. CALENDAR(2018(CC!=CollegeClosed! EC!=Early!Close! SFD!=!Student4Free!Day!!!! (Term(1:(31January–(13April(January Mon 1 Public Holiday (CC) Tue 16 Early Learning Opens Thu 25 New Staff Induction (9.00am) Fri 26 Australia Day Yud Shvat (CC) 29-30 Staff Development Day (SFD) 24 Wed 31 First Day Term 1 Tu B’Shvat February Wed 28 Taanis …... The calendar details all of the main events happening in the school. It is updated regularly. Community events coordinated by the P&C association are list in red. If you have any questions about upcoming events, please contact your child's class teacher or our main office on 93286313. We would like to pay our respects and acknowledge the traditional custodians of the land, the Bidjigal people of the Eora Nation, and also pay respect to Elders both past and present. age of empires manual pdf The calendar details all of the main events happening in the school. It is updated regularly. Community events coordinated by the P&C association are list in red. 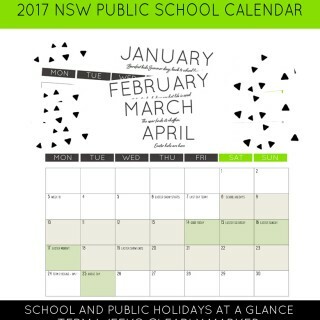 If you have any questions about upcoming events, please contact your child's class teacher or our main office on 93286313. The calendar details all of the main events happening in the school. It is updated regularly. Community events coordinated by the P&C association are list in red. If you have any questions about upcoming events, please contact your child's class teacher or our main office on 93286313. This is the calendar for attendance during Term 3, 2018. The red dates represent P1 - Kookaburra children to attend. The blue dates represent P2 - Possum children to attend. We would like to pay our respects and acknowledge the traditional custodians of the land, the Bidjigal people of the Eora Nation, and also pay respect to Elders both past and present.